I first discovered SugarSync almost 2 years ago when I was searching for a simple way to sync multiple folders across several computers. At the time, it was a pretty complex issue, which none of the other file sharing and syncing services could handle out of the box except SugarSync. If you’re curious to understand why, I shall elaborate a bit later. Needless to say, SugarSync is still my preferred cloud storage service (or file sharing, or file syncing service — whatever you choose to call it). Today, SugarSync 2.0 has been redesigned to be even easier to use. It’s more intuitive than ever before and provides better control over shared files and folders compared to its major competitors, including Dropbox The Unofficial Guide To Dropbox The Unofficial Guide To Dropbox There's more to Dropbox than you might think: you can use it for file sharing, backing up your data, syncing files between computers and even remotely control your computer. Read More . I’ll take you through the new interface in just a second. You’ll also stand a chance of winning one of 25 SugarSync annual plans (first year free), with 30 GB of storage. I needed a simple, out-of-the-box solution to sync multiple, specific folders with several computers. So that excludes the biggest player at the time, which was Dropbox. In addition to syncing files and folders outside of a dedicated “sync folder”, I also needed to control which sub-folders to sync. This is a feature called selective syncing, which is the ability to exclude certain folders from being synced to the cloud. Until today, SugarSync is the only file syncing service I know of that provides this feature. To top it off, SugarSync has an array of mobile apps aimed to provide remote access to synced files on the go. SugarSync’s free account generously provides 5 GB of storage space. If that’s not enough, $74.99/year will buy you 60 GB of storage. 100 GB and 250 GB plans are also available at $99.99/year and $249.99/year respectively. For most people, the free account is pretty much adequate. Plus, there are always ways to earn free extra space. SugarSync’s desktop client has been recently facelifted, and is quite an improvement over the previous design. Known only as SugarSync 2.0, this new client for Windows and Mac features a simplified view with 4 major tabs for easier navigation. 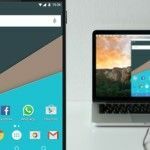 The first tab is called Cloud, and is basically a list of every synced folder spanning all of your computers and devices. Through the drop-down menu, you can also view synced folders from individual computers. Syncing new folders in SugarSync 2.0 is now a matter of dragging and dropping the folder into the drop zone at the bottom of the window. Clicking on any folder on the list will allow you to access its Info panel, revealing every detail about the folder; including its size, which computers its currently syncing with, and most importantly, the option to manage sub-folders (this is selective syncing feature I mentioned earlier). I’ll skip the Sharing tab for the moment and move on to the Activity tab, which displays a list of recently synced files. Options to reveal the file (in Finder or Windows Explorer) and to publicly share it appear upon hovering over each individual entry. Next, we have the Search tab. To be honest, I was quite impressed with the Search feature — it’s faster than I anticipated, and is really handy when I need to instantly access synced files which are located deep within several folders and sub-folders. Alright, now we shall return to the Sharing tab and even though I don’t mainly use SugarSync for this particular purpose, I’ll show you how easy (idiot-proof, really) it is to share folders with specific people or publicly. For better organisation, the Sharing tab is sub-divided into 3 sections: files which you’re shared with others, files which other people are sharing with you, and your contacts. To share a file, or in this case, a folder full of pictures, just drag it over the drop zone and let go. Without wasting any time, SugarSync will start uploading the files in the background while you decide how you’d like to share them. Private sharing: by selecting this, you will need to nominate specific people to share with, and decide if you’d like to provide them with the option to edit the shared files, or just view them. Public link: this is the less secure option of the two, and anyone who has the public link can access the shared files, albeit to view only. For the purpose of this review, I’ve chosen to share the folder publicly. And as expected, it now appears under the “Share by Me” section as a public link. It’s interesting to note that SugarSync informs you (in real-time) of the number of times any file within a shared folder has been downloaded. If you’re the type of person who likes to keep track, that’s a bonus for you, really. Just like any other synced file or folder, you have access to the shared folder’s Info panel where you can copy the public link again if you have to, and change the edit/view permissions on privately shared folders. You also have the option to switch sharing modes between public to private or vice versa, so you’re not exactly doomed for choosing the wrong sharing option at the start. Here’s a stark contrast between SugarSync and Dropbox. Say you’re sharing a folder in Dropbox, and you accidentally drag the folder out of Dropbox’s sync folder — what happens? That folder is no longer synced, correct? In SugarSync, you have the freedom to move shared folders to new locations without the slightest disruption to sharing. Even if a shared folder was inadvertently deleted, SugarSync will simply revert to Cloud-only sharing so your public links will still be accesible. I found this redundancy feature very clever. As for the shared folder, SugarSync determines if there are photos within the folder and automatically displays them in Gallery view, which is, lacking a better description, quite pretty. Visitors can either download the entire folder, compressed for their convenience; or individual images. I’m thoroughly impressed with SugarSync 2.0. I found the new desktop client to be more intuitive compared to its previous rendition, and substantially more user-friendly. Although this review was a moderately complete rundown, there are still several useful features which I didn’t manage to cover. So if you’re keen to learn more about SugarSync, please read Aaron’s article SugarSync: The Most Well-Rounded Free File Backup & Syncing Service SugarSync: The Most Well-Rounded Free File Backup & Syncing Service SugarSync: The Most Well-Rounded Free File Backup & Syncing Service File backup is not a new conversation or topic by any means. If you search Google for “file backup” you will likely be overwhelmed by services and articles on the topic. It is a vast... Read More . 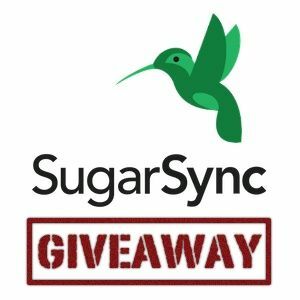 How do I win a 30 GB SugarSync account? Congratulations! If you were selected as a winner, you would have received your license via email from jackson@makeuseof.com. If you require any assistance, please get in touch with Associate Editor Jackson Chung before April 21. Enquires beyond this date will not be entertained. This giveaway begins now and ends Friday, April 12th. The winners will be selected at random and informed via email. Explore more about: Cloud Storage, File Sharing, MakeUseOf Giveaway. New to the sync world; also just got my first smartphone. Perfect timing on this review as I've been researching what to use. Good luck everyone! Excellent Article, I love this website!! Excellent article, Jackson! I too am a SugarSync fan. One little correction though, Dropbox has selective sync'ing, and has had it for quite a long time (not quite from the beginning, but not long after). Thank you, Oron. I'm aware that Dropbox has selective syncing but the folders must be within the Dropbox folder, am I right? SugarSync allows you to sync any folder, regardless of its location. Yes, Dropbox works on a single folder and its subfolders (that's both its strength and its weakness), but the selective sync feature is a separate issue. Jason - is it true that if you use the "private" share option, that the recipient must have and use their own SS account to access the file? Also please confirm that if I make a public share AND I do NOT want the file on MY computer - I can delete it from my PC and leave it "in" the deleted files section for access by others. Thanks. Great ! Just rearing to Store ! SugarSync made me cry when I first met it, introduced by MakeUseOf. I couldn't live without it.. I tried other services but get use with the inflexibility they provide. The giveaway is awesome, but I didn't reach 1GB usage yet. So, I'm gonna skip this. Neat! Count me in. I've never have any luck in previous giveaways...but there's always first time! If I had this I would not leave my living room for a considerable ammoutn of time, I would live in darkness watching movies off my samsung tv from sugarsync. Awesome giveaway..I have joined in.. So, this post you link to is from f2011. And it says that the bonus storage will not last after march of that year. Is there still a bonus offered? "If your friend opens a 30 GB or larger account, you’ll each earn a whopping 10 GB. SugarSync is however limiting this offer until March 31, 2011"
This is a quote from the article you linked. Also, thanks for the giveaway. That offer is probably no longer valid but hey, you could win a 30GB account right here. Good luck! That is what I was figuring. But I entered, so, now I'm hoping I get lucky. thanks again for the giveaway!! Awesome article here Jackson! I am only slightly (ok VERY) jealous of this giveaway. SugarSync is my favorite as well! Thanks, Aaron! To be fair, Dropbox and Google Drive have their uses as well, but SugarSync remains my everyday syncing solution. Yep! I use all three! And SkyDrive... because who doesn't love 25 free gb of space? But like you said, SugarSync is my primary syncing solution. Let me clarify. You run all three program at the same time and they keep syncing at the background? They don't affect your computer and internet speed at all? Nope! Not at all. My computer has great specs and I don't ever have a problem with my Internet due to how much I've got going on. I run four program, and my computer lags a little bit but none on my internet. I am a SugarSync user from the beginning itself. I feel it better than any other service like Drop box or G drive. Its option like multiple folder sync is awesome. Its very flexible!